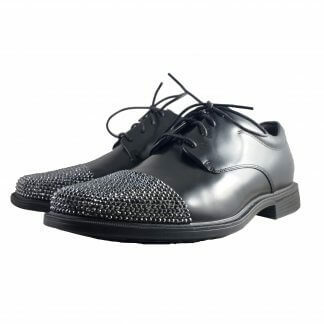 The Singularity Derby is a lace-up formal shoe. The toecaps feature several hundred hand-placed Swarovski crystals. Upper is made of genuine leather. Waterproof insole materials.